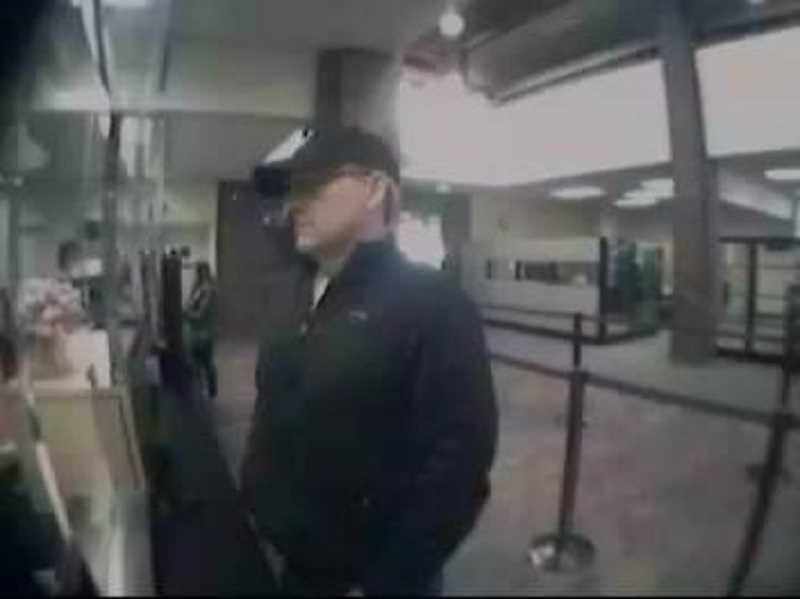 Tigard Police are asking for help identifying and locating a suspect who allegedly robbed the Tigard Wells Fargo on Washington Square Road on Wednesday, March 27. A 9-1-1 call at approximately 3:45 p.m. alerted police of the robbery who then quickly set up containment and searched the area. The suspect remains at large. According to witness statements, the suspect is described as a white male in his 50s, wearing a black baseball cap, black glasses, and black jacket. He entered the bank and presented a demand note for money that also stated he had a gun. However, no weapon was displayed during the robbery. The suspect then fled the bank with an undisclosed amount of money. Tigard Police investigators were able to obtain surveillance photos of the suspect.